After being mesmerised by Joanna Lumley’s tour in India, could anything be as exciting and infectious? Yes it can and here it is, the top pick of the week – The Ganges with Sue Perkins! This three-part series features on BBC 1, Thursdays at 9 pm. We can’t wait! Perkins chose to begin her tour with a trek to the source of the Ganges high in the Himalayas. The former Great British Bake Off host meets the hermits and holy people that live in the sacred mountains before journeying downstream to the mystical city of Rishikesh, home of spiritual yoga, holy ashrams and now top of our travel list for 2018! Then, of course, she follows the trail to the religious capital of Hinduism – Varanasi. Sue tries to make sense of the ancient traditions, that date back as far as the 6th century BC, and have survived in modern-day ritual. We wish we were there with her to meet the extraordinary people of the oldest living city in India. How can you go on a similar tour yourself? Jump right in (not into the river itself!) to the buzz, chaos and excitement when you book a holiday to India. The best way to immerse yourself cities like Varanasi is by rickshaw, an experience not for the faint hearted; prepare to dodge sacred cows and road side deities, an exhilarating way to reach the famous Ghats. On the western banks of the Ganges, the Ghats are awash with activity from morning till night. 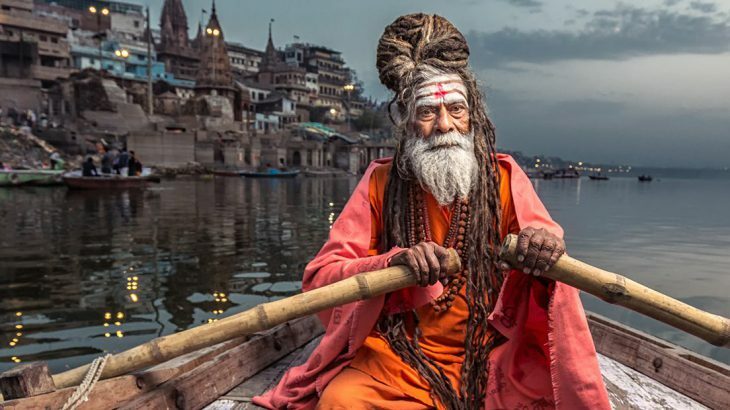 An early morning cruise down the mighty Ganges is a must do, you’ll witness the locals offering prayers to the rising sun, doing their laundry, cleansing their souls and cremating the dead. The evenings play host to the Puja ceremony of Ganga Aarti, an intense ceremony where pilgrims offer fire and pray through song. Truly an assault on the senses, you can expect to be overwhelmed by a festival of drumming, burning incense and chanting. HURRY！Book by the 25th November for a free upgrade to World Traveler Plus with British Airways both ways saving £1200 per couple. Upgrade valid both ways flying with British Airways from London Heathrow. Valid on selected fully escorted tours. Valid for travel 25 Dec 2017 – 20 Mar 2018, 09 Apr – 12 Apr & 16 May – 23 June. Book by 25th November. New bookings only. Plane configuration, cabin and seat layout may differ depending on route flown and time of travel. Offer cannot be combined with any other offer or promotion, including loyalty discounts. Subject to availability. India adventure, culture, festivals, Sue Perkins, the Ganges. permalink.